1.1	The report and recommendation being stated relate to the proposal by FINEPALM OIL INDUSTRY to establish an oil production industry. 1.2	The proposal project is to be fully implemented with an investment of N1, 855,000 (one million, eight hundred and fifty five thousand naira only) made up of N1,000,000 fixed capital and N855,000 working capital. 1.3	The enterprise vision is to provide well refined and quality palm oil in South-East Nigeria, particularly Owerri in Imo State by the year 2016. Imo State, because of the easy accessibility to materials needed for the project. 1.5	A ready market exists for the business. Prospective clients includes: women traders, men traders, Hotels, Restaurants, industries, families, etcetera. 1.6	The financial projections show that the project would be financially stable and liquid by the time it matures. The project turnover for year one, two and three respectively is N2, 790,000, N3, 069,000 and N3, 375,900 respectively. Net profit for year one is N1, 230,000, for year two is 1,559,900 N1, 913,993 in year three. From the point of view the analysis of our market survey. The proposed project is found to be mechanically feasible, financially viable and economically desirable. The project offers good investment benefits. We therefore, highly recommend it for funding and implementation. The planned palm oil project is the result of strong industry and needs assessment studies undertaken in South Eastern Nigeria particularly in Imo state. This assessment survey reveals that despite the high demand for palm oil in the area, there is low production and availability of the commodity. The bulk of the palm oil in the area is from domestic production which most times are substandard. The Industry will create jobs and wealth to teeming youths, it will reduce unemployment and reduces crime rates, it will also increase the GDP of the economy of the nation as the result of the tax to be paid from the enterprise. The vision of FINEPALM OIL INDUSTRY is to be number one in the production of qualitative palm oil in South Eastern Zone of Nigeria particularly Owerri, Imo State. Our mission is to produce the most tasteful and refined palm oil by adopting the latest method of using machinery in production rather than manual. Skilled workers with excellent orientation on customers care services. The enterprise will be owned by Ezugwu Emmanuel to be named: FINEPALM OIL PRODUCTION INDUSTRY. Thus, the enterprise is a Sole Proprietorship business. Availability of Land to contain the expansion of the business. Proximity to the target market. Security for the facility and the business. The factory will be duly registered with the National Agency for Food and Drug Administration Control (NAFDAC) and also with the Corporate Affairs Commission (CAC). It will have trademark for uniqueness. Smooth and refined palm oil. Better aroma and high taste. Well packaged palm oil that will come in different sizes. The enterprise will render direct service delivery to customers. The factory will employ the use of improved facilities and latest technology for the better standard of the products. Meanwhile, palm oil is a universal ingredient for cooking and other manufacturing purposes like soap. Markets for the product will include Ekeukwu Owerri markets, Relief market, and New market Imo State. The market will be an open market but more strictly to customers on request. Hotels and restaurants, eateries, fast food centers. 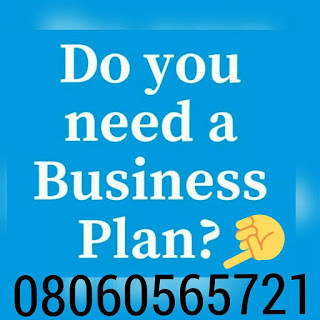 After payment text your names, your e-mail address and what you paid for to 08060565721 and you’ll receive your PALM OIL PRODUCTION / PROCESSING BUSINESS PLAN & FEASIBILITY STUDY PROPOSAL.